On Tuesday, April 9th, from 4:20 PM to 4:40 PM in room N258, Andrew “A. J.” Janitschek, director, program & operations support at Radio Free Asia, will reveal why he says “I Never Metadata I Didn't Like”. Janitschek has been in broadcasting for over three decades, having begun with the Armed Forces Radio and Television Service in Greenland and now serving as the director of program and operations support at Radio Free Asia in Washington DC since 1996. He is also a commercial drone pilot and an AWS certified Cloud Practitioner. As the tsunami of digital data washes over the whole production ecosystem, propelled by advances in AI, the Internet of Things, cloud storage, and machine learning while image resolutions and storage capability skyrocket, the challenge of keeping track of everything becomes more daunting. Metadata, or “data about data”, is supposed to be the solution to wrangling all this information, but as our communications industry matures, multiple formats of metadata threaten to confuse rather than clarify the information flow. So, using his paper “I Never Metadata I Didn’t Like” as a foundation, Janitschek is going to begin his presentation with a discussion of the history of metadata, going back to the Great Library of Alexandria where the Greek grammarian, Zenodotus, affixed tags to the end of scrolls to identify the author, title and subject of each document. As he will explain, centuries later this evolved into the Dewy Decimal System, developed by Melvil Dewey in 1867. Without it, harried students could never have successfully researched their way through the otherwise unfathomable profusion of books in their college libraries. Today, Forbes magazine estimates there were 2.5 quintillion bytes of data created daily in mid-2018 and the growth is accelerating. So, to give an overview of this gargantuan subject, Janitschek plans to divide his presentation into three general areas. Even today, Rekognition, an example of automated metadata analysis, is sophisticated enough to incorporate facial “recognition” and is being used by CSPAN and the Scripps Networks Interactive. Then Janitschek will take a look at international attempts to develop metadata systems that could be widely if not universally adopted. Then, Janitschek will delve into how we can exchange metadata? 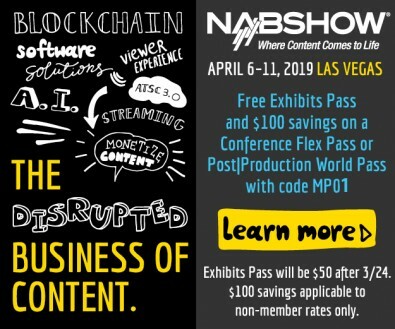 NAB attendees who attend the “I Never Metadata I Didn't Like” session will be making an investment into learning about one of the most crucial topics shaking the basic infrastructure of the digital entertainment creation industry. After all, data without structure is just, well, data. But data put in context is knowledge. Need a free Exhibit Hall pass? Click this link.